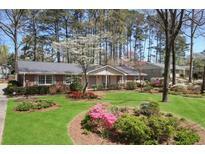 Find Dunwoody, GA Condos for sale. View Photos, Maps and MLS Data Now! Kingsley - Lower Level W/2nd Living Area Or Playroom. MLS#6538093. Keller Williams Realty Atl Perimeter. Bring Your Most Discerning Buyer As Opportunities Like This In This Market Do Not Avail Themselves Often. MLS#6534668. Re/Max Around Atlanta Realty. Withmere Close - Many Swim/Tenn Options*Take The 3D Tour! MLS#6537786. Karen Cannon Realtors Inc. Some Photos Are From A Previous Vacancy. MLS#6537219. 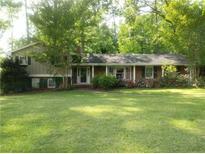 Title One Realty, Llc..
**Multiple Offers Received, Highest And Best Offers Due By 7 Pm April 18** MLS#6536292. Keller Williams Rlty, First Atlanta. Side Entry Garage With Parking Pad. Walk To Fontainebleau Swim/Tennis Club. MLS#6536243. Keller Williams Realty Atl Perimeter. 3 Bedrooms & 2 Baths Upstairs Plus Loft Space! Small Quiet Neighborhood. MLS#6531043. Keller Williams Rlty-Ptree Rd. Incredible, Fenced Backyard Oasis Features A Play Area; Entertaining Deck W/Grilling Area; Plus A Sparkling Gunite Pool, Solar Heated & Protected By A 5' Fence W/Child Safety Lock. 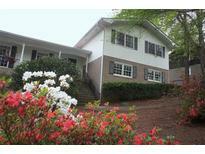 Prime Dunwoody Location! MLS#6534824. Harry Norman Realtors. Lancaster Manor - Terrace Level W/ 2nd Family Area & Ideal Craft Or Fitness Area. Fontainebleau Swim & Tennis Closeby MLS#6535379. Atlanta Communities. Easy Access To Shopping, Restaurants, & 285! MLS#6535189. Harry Norman Realtors. Northbrooke - Cluster Home, Open Floor Plan, Close To Brook Run Park, Walking Trails, Playground And Dog Park, Easy Access To I-285, Courtyard Entrance Into Garage,Two Story Foyer With Lots Of Natural Light, Beautiful Family Room W/Vaulted Ceiling & Marble Fireplace, Kitchen W/White Cabinetry, Bar & Separate Breakfast Area,Spacious Dining Room,Hardwood Flooring,Open Loft/Office Space,Additional Huge Bonus Room For Exercise Or Playroom, Large Secondary Bedrooms. MLS#6512063. Keller Williams Rlty-Ptree Rd. North Peachtree Woods - Close To All That Makes Dunwoody Great: Schools, Shopping, Entertainment. MLS#6525538. Keller Williams Rlty Consultants. Mayfair - You Won’T Find This Much At This Price In All Of Dunwoody. Must See! Owners/Agents MLS#6534296. Virtual Properties Realty. Biz. Lockridge Forest - The Roof Is 2 Years, Tankless Water Heater, New A/C And Furnace. MLS#6535047. Redfin Corporation. Home Office Space, Work Room, Playroom, So Much Space. Private Backyard On Cul-De-Sac! MLS#6533010. Keller Williams Rlty, First Atlanta. Chestnut Forest - Master Bedroom Has H&H Closets. Updated Walk-In Shower. MLS#6531938. The Gates Real Estate Group, Inc..
Mill Glen - 2-Car Garage Laundry Room, Guest Bedroom, And Full Bath Also On The Lower Level. Easy Access To Major Highways. MLS#6531124. Compass. Loads Of Natural Light & Extensive Walk Out Decks. MLS#6531029. Atlanta Communities. Village Springs - 3 Additional Bedroom And Hall Bath Upstairs. MLS#6530688. Coldwell Banker Residential Brokerage. 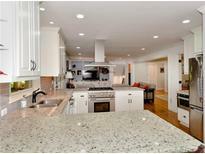 Dunwoody Walk - Walking Distance From Dunwoody Village An In The Award-Winning Austin Elementary School District. MLS#6529825. Keller Williams Realty Atl North. Endless Potential In Basement. Desirable Schools. MLS#6529702. Duffy Realty Of Atlanta. 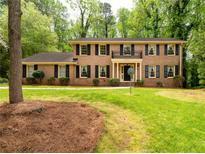 Dunwoody North - Home Is Not In The Flood Plain And Taxes Do Not Reflect Homestead Exemption MLS#6529416. Keller Williams Realty Atl Perimeter.